About: Best friends, big fans, a mysterious webcomic, and a long-lost girl collide in this riveting novel illustrated throughout with comics. Once upon a few years later, Libby was in the car with her mom where Libby and her mother die. Libby passed away, and Princess X died with her. Once upon a now: May is sixteen and lonely, wandering the streets of Seattle, when she sees a sticker slapped in a corner window. Princess X? Nitya L’s (Murphy MS Student): To answer your question, no, it is NOT a girly book. 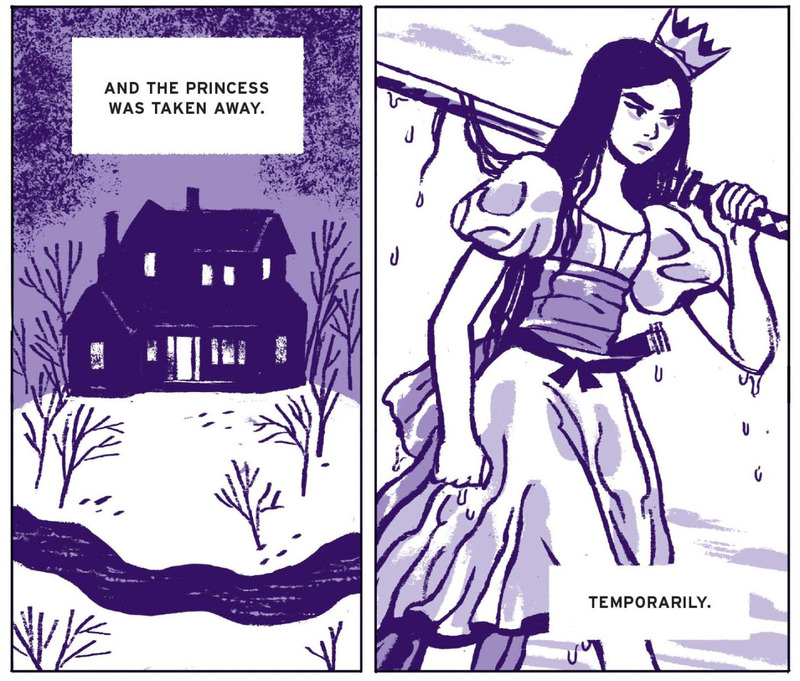 I Am Princess X is an exciting mystery revolving around the relationship between two best friends, May and Libby. In 5th grade Libby and May create a katana-wielding hero: Princess X. Soon, they become close friends and create more and more comics of their character, with Libby as the artist and May as the writer. That is, until Libby supposedly drowns. For three years, May can do nothing but sit and cry at the reminder of her deceased best friend. She doesn’t have anymore of their Princess X comics. Until one day, she notices a Princess X sticker on a lamppost. Then she sees it everywhere. There’s even a website with hints that only May and one other person could have understood. Soon, only one question remains: What really happened to Libby? Let me just say, this book had me on the edge of my seat the entire time. There wasn’t one moment where I could put the book down. The suspense kept me on my toes and I loved the mystery and the clues. The way that the author used the comic as communication between Libby and May was amazing (and I loved how she actually put parts of the comic at the end of every chapter!). It had a unique plot and great twists to it, with a bunch of events that took me by surprise. I also loved how the author turned a topic usually for little girls into an awesome mystery for older kids (and not just girls). Overall this book deserves a 10/10 and I DEFINITELY recommend it as a Lone Star book. Hanaa S’s (MMS Student) Thoughts: I Am Princess X is a mystery novel by Cherie Priest. Two 5th grade girls create a sword-wielding princess for the kindergarteners, which they name Princess X. Soon, Libby and May are creating comics after comics of this fantasy girl; until Libby drowns. All of Libby’s belongings (including the comic) were donated to thrift stores after her death, leaving May with no reminder of the past… until three years later. She is with her father when she notices a sticker of Princess X on a lamp post. And it doesn’t stop there. 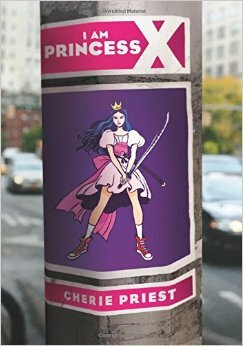 Princess X keeps on appearing on walls as graffiti, backpacks, and skateboards, and they all have her classic look: Black hair with blue highlights, a pink fluffy dress, red sneakers, and a katana. As May digs in to the appearance of her lost character, she finds out about what truly happened, the night her friend died. I just adore how Priest uses the comic as a communication between May and Libby. Like, how genius is that? And the suspense in this book is always there, making me turn each page in anticipation. Total 12/10, for its genius plot, and is highly recommended for all readers in general, but especially those who love a murder mystery. With princess super heroes saving the day. This entry was posted in action packed, female protagonist, Murphy Middle School, mystery, Teen Book Club, Texas Lone Star List 2016, web comic and tagged Cherie Priest, heroine, I am Princess X, Murphy Middle School, TX Lone Star List Nominee 2016, web comic, YA Lit. Bookmark the permalink.